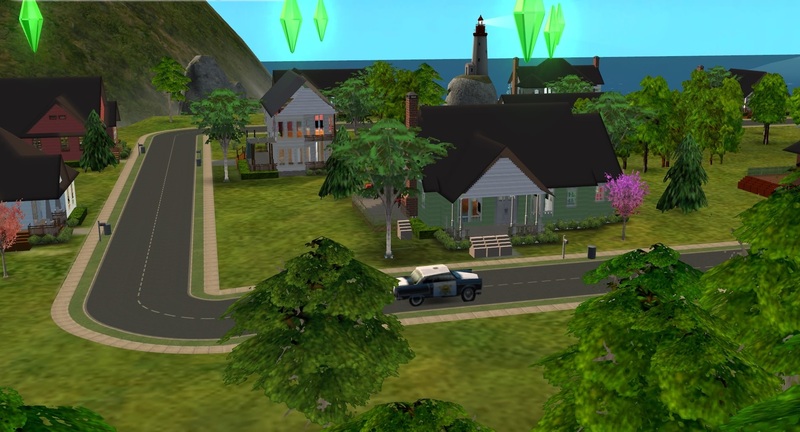 It's a 'The Sims Life Stories' neighborhood recreated for TS2; uploaded for the current monthly theme "Maxis". First off, a big thank you goes to marka93 for recreating Four Corners and giving us permission to upload it with the group account. Thank YOU! He's been working on this neighborhood recreation for 2 years. And it's finally finished! Yay! He has built Four Corners, and we have playtested the neighborhood for him. 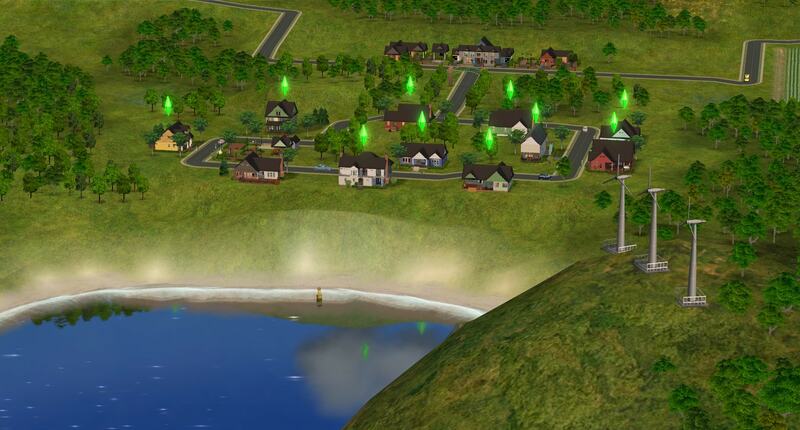 Riley Harlow had been living in Sim City all her life, untill she lost her job. Facing eviction, Riley turned to the one person she could count on, her aunt Sharon. Sharon had always been kind enough to help Riley out in a pinch, so Riley arranged to stay at her aunt's house in the suburb of Four Corners until she was back on her feet. To Riley's surprise her aunt gave her the house and bought another house down the street. 2. If you only have the Base Game installed, you have to copy the contents of the Storytelling folder into your Documents\EA Games\The Sims 2\Storytelling folder in order for it to function properly. Later EPs do not have this requirement. -You need Mootilda's mods to fix the subhood selections, available here. 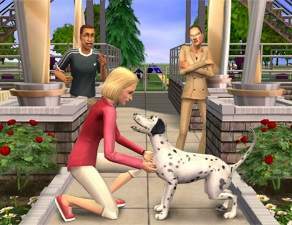 -To use Mootilda's mods, you will need Pets or a later EP/SP installed. However, if you don't have Pets or a later EP/SP installed, you can temporarily remove Bluewater Village (B001) from the NeighborhoodTemplate folder and move this subhood in there. It will still be referred as Bluewater Village in the game. But the game will add Four Corners to your neighborhood. Restore B001 after adding the subhood and you're done. 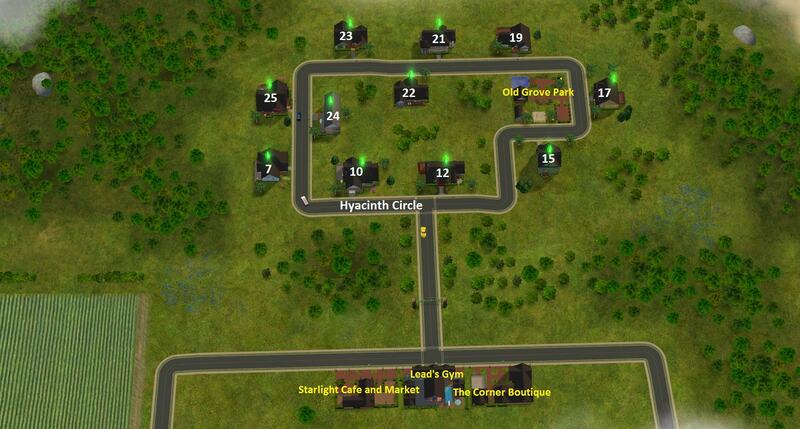 This is a ground up recreation of Riley's Story from Life Stories game using Numenor's AnyGameStarter and Mootilda's HoodReplace to create the neighborhood with no Maxis content and to get the original look of the neighborhood with its original roads, neighborhood terrain, trees and decorations. There aren't any townies or any NPC. So, you have to generate them yourself if you really want them. You don't need to install a camera mod for this neighborhood. You will see all of the lots in a vanilla game. All of the lots have been compressed with Mootilda's Lot Compressor. Four Corners is base game compatible and doesn't have any CC in it. The shopping district/suburb subhood however requires Open For Business. 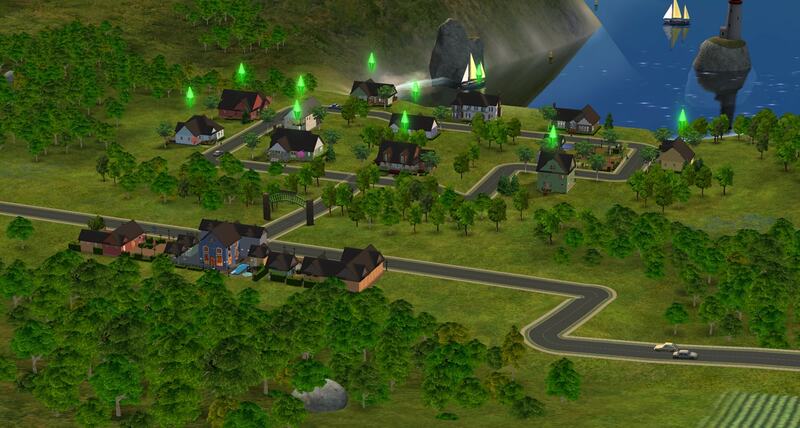 This hood includes all the original playable sims. 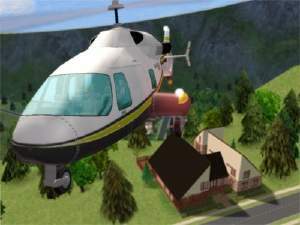 The sims have been extracted using SimPE, then cloned in Body Shop and then recreated in the neighborhood using the clones. marka93 also included Jane Harlow; Sharon's sister and Riley's mother. There are 10 families and 17 sims in total. Four Corners has 15 lots; 4 of them are community lots, the other lots are all residential lots. One of those lots is a vacant lot. Look in the comments for this neighborhood to read more about the individual families and lots. marka93 has rebuilt each house as close as possible to the original using the base game only. 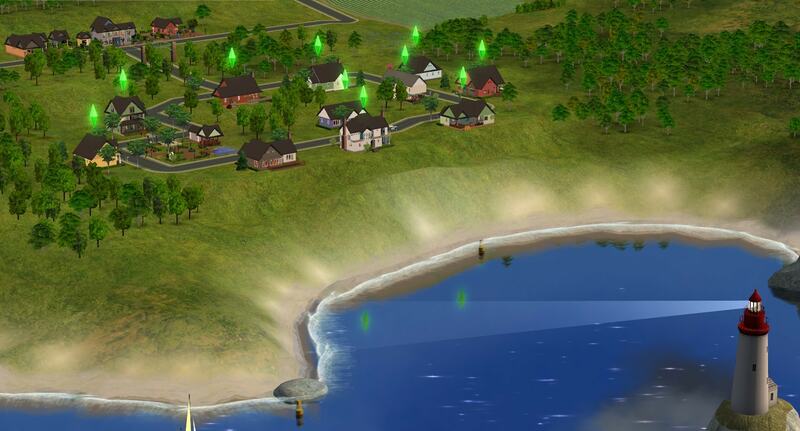 Because The Sims Life Stories is a mixture between Uni, NL and OFB, many of the Four Corners lots had half walls and certain EP features (e.g. restaurants). Therefore, many of the lots that had half walls before don't have any because halfwalls are not available in the base game. Both of the subhood versions have halfwalls and some of the EP features, though. Look in the comments for this neighborhood to see what's missing and needs to be added. As always, stay tuned for more neighborhoods to come! marka93 for recreating this neighborhood and giving us the permission to upload it with the group account. To the others who helped us playtesting Four Corners here in the Creator Feedback Forum. Numenor for his AnyGameStarter which we used to make this neighborhood base game compatible and empty. Mootilda for her Lot Compressor which we used to compress all of the lots and for her LotAdjuster which we used on some lots as well and for her helpful HoodChecker (to see whether there are any problems or not) and for Hood Replace which we used to copy the neighborhood terrain with its roads, trees, decorations from LS into this neighborhood. Compressjpeg.com for compressing the size of the required images for the download page. 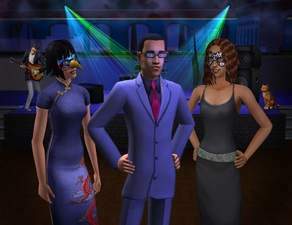 The makers of SimPE Of course, EA for The Sims Life Stories and for the original Four Corners!